Are you looking for a way to make your Android device run a little faster? Sometimes smartphones can become filled up with junks, and that can have a negative impact on the way your phone runs. Thankfully, there are applications available on Google Play store that are designed to help you clean up your phone and keep thing running as smooth as possible. IVY Cleaner is a good suggestion for you. IVY Cleaner is an Android app that has one simple task in mind---free up space on people’s devices. The app does this by cleaning out the cache files created by app and the games on your Android smartphone. A cache is simply a collection of files and such that makes it easier and quicker for an app or web page to load, but often these apps can take up to much space on your smartphone and IVY Cleaner can help you take this space back. IVY Cleaner has all features packed to keep your Android device junk free by cleaning memory junk, cache junk, APK junk and residual junk. Like all other app IVY Cleaner can be installed from Google Play store. After installation the app opens with a very user-friendly interface. The half of the user interface presents the device storage, CPU temperature and available RAM. Below half presents the options like Junk file cleaner, RAM Booster, App Manager, Battery Cooler. After clicking on Clean option, the app scan all the junk files resided on your device and show list of unwanted files to be removed. Then click Clean tab to remove all unnecessary files. RAM Booster option lets you to improve the device RAM performance by releasing the RAM. After the process done, the app displays the amount RAM released instantly. App Manager Option lets you to easily get rid of unwanted apps by allowing you to perform uninstallation. Most of Android device comes with preinstalled default apps. Here comes the best part, you can disable the unwanted built-in apps. You can also scan for the redundant APK files to clean up the device. Modern day devices are much more heating and even at a level where users can’t the device due the excessive heat. Battery Cooler option lets you to kill unnecessary tasks and background processes, thus reducing the device heat. 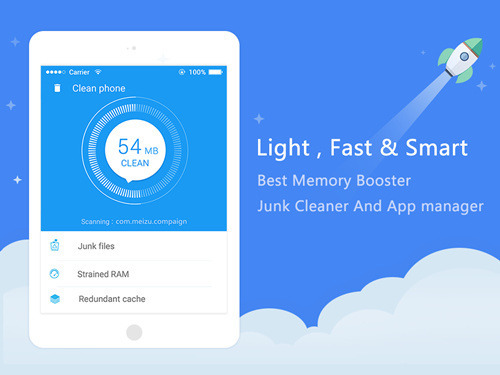 If your device has very small memory and faces low disk memory issue, IVY Cleaner can remove the apps from internal memory to external memory card with just one click. 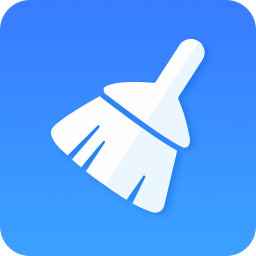 IVY Cleaner is a promising Android cleaning tool. It is amazingly convenient and powerful, especially when your device needs an effective and deep-insight cleaning. IVY Cleaner is available on Google Play Store.